In 2008, Leslie Osborne tore up her knee and ankle. Doctors told her she would not play again. She made it back and played five more years. On Tuesday, Osborne turned the tables, announcing her retirement from soccer, and closing the door on more years of what was already an excellent career. 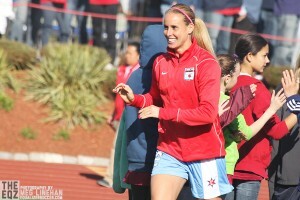 In her heart, Osborne knew that when the Red Stars season ended last August that she had played her final game. But she sat on it to make sure. It looked more likely at the end of December when she moved to California to pursue opportunities at her alma mater, Santa Clara University. And in recent days she began informing friends, fellow players, and finally making it official with the Red Stars. Osborne’s moving on to become an associate athletic director at Santa Clara. 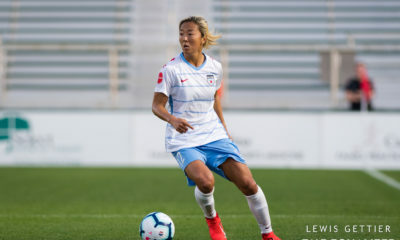 She first interviewed for the job last May but was not about to leave the Red Stars in the middle of the season. “I don’t want to be somewhere and not give 100 percent of my heart and everything I have when I’m doing something.” She finally went to work at Santa Clara in late December and hopes to make it a permanent thing. “It’s exciting. I’ve always wanted to come back here. I didn’t want to coach, but I always wanted to be involved with athletics. I want to help run programs. I will be heavily involved in leadership programs at Santa Clara and helping with corporate sponsorship and helping the athletic department with fundraising. I’ll be able to do a bunch of different things, which is really exciting. The Red Stars were perhaps the unluckiest team in NWSL last season. 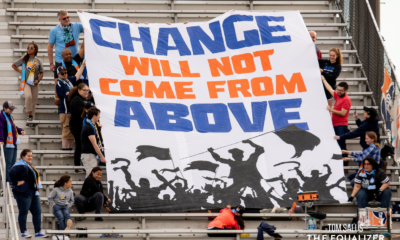 From a poor allocation to injuries in all parts of the season, the club scuffled early and grinded out a .500 season. This year they were allocated Christen Press, are getting Amy LePeilbet back from a knee injury, and drafted Julie Johnston and Vanessa DiBernardo in the 1st Round. As tempting as it was to hang around for what could be a breakthrough season in Chicago, the opportunity at Santa Clara proved too good to pass up for Osborne. Excited, but a bit disappointed to miss out on playing with Press, who was allocated to Chicago, and LeBlanc, who wound up there via trade. 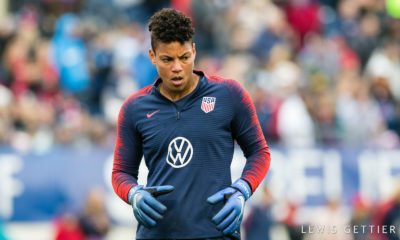 When the national team was in Dallas, Osborne informed Press she might not be coming back to the Red Stars. It was tougher to tell LeBlanc since she and Osborne have long dreamed of playing together. Tough, but the right time. Osborne’s boyfriend, former MLS player Ricky Lewis, is now with her in Northern California. The Milwaukee native has her post-soccer life all laid out in front of her. And she has some of the most esteemed members of the U.S. national team to thank for her outlook. Osborne came into the world in 1983, eight years before the inaugural Women’s World Cup. Not only was she too young to remember it, she had not even begun playing soccer yet. That happened at 10, and eight years after that she was a freshman at Santa Clara when the Broncos won the national championship. But it was Osborne’s junior season that altered the face of her career forever. That was when coach Jerry Smith moved her to defensive midfield. “I played so many positions anyway that I was like—that’s a bummer I’m not going to be up top anymore. I was more nervous that I wouldn’t step up for the team than anything. But I fell in love with the position and I played it from when I was 20 to 30 years old. Ten years. But when Pia Sundhage took over, she brought with her a philosophy that did not include a traditional, holding midfielder. And that is about where Osborne’s international career ended, at sixty-one appearances that started in 2004. Osborne doesn’t hold any hard feelings though. Her advice to young players is to familiarize themselves with as many positions as possible. 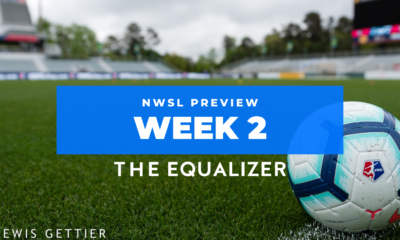 She also said she is thankful for Tony DiCicco bringing her to Boston to play with the Breakers, and to Dames for his coaching in 2013 with the Red Stars. 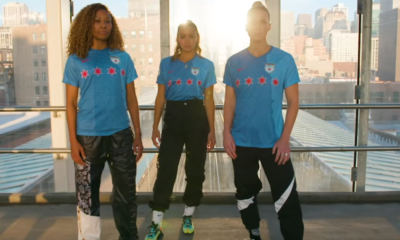 As the NWSL preseason kicks off, Osborne won’t be lacing up her boots in Chicago, regardless of the position. Her soccer career is complete. She has received many offers to play recreational soccer in the Bay Area, but has not touched a soccer ball since August. It is time to move on.